When I watched the 46-minute documentary Nawang Gombu: Heart of a Tiger on YouTube last weekend, it had only been watched 151 times before me. This is ridiculous, given this one of a man opening a beer bottle with a chainsaw had been watched 3,234,053 times (one more than that after you clicked on the link). I’ve mentioned Nawang Gombu previously in this blog. He was the nephew of Tenzing Norgay, and one of my 10 great Sherpa mountaineers of a previous post. Nawang Gombu: Heart of a Tiger has flaws as far as documentaries go, but it deserves to be watched more widely because of its subject matter. There is a treasure trove of historical archive footage and an astonishing number of people have been interviewed to celebrate the life of this extraordinary man; the great and the good of American and Indian Himalayan mountaineering of the 60s, 70s and 80s, almost his entire extended family, as well as friends from his childhood. At times it causes the film to feel disjointed and repetitive as we are rushed through soundbite after soundbite of people making the same point in different words. But you get the overall message: Nawang Gombu was loved and respected by everyone who knew him. And the positive side of this approach is a wealth of endearing anecdotes that help to paint a picture of his character. The film has a bizarrely shouty narrator who seems to be auditioning for a female version of Brian Blessed (and she is remarkably successful in this respect). It also begins in irritating fashion. The first 60 seconds is a sequence of soundbites trying to answer the perennial question of why people climb. “Why would we do anything? Why do you ski?” we hear one voice say, clearly irritated by the question. I might add: why watch celebrity cake-baking contests, or TV talent shows involving rank amateurs? In the case of mountaineering this question has been asked enough times, and enough decent answers have been provided. We don’t need to keep asking it. In Gombu’s case this question is answered in more detail later, but without reference to this opening sequence, so we forget that it was asked. His reason is an important one. He was a Sherpa, and although he loved his job, he climbed primarily as a means of supporting his family through school and giving them a route to a better life. This is the same reason climbing Sherpas still do the same job today. As Tenzing Norgay’s nephew, Gombu provides a direct link from the mountaineering pioneers, and his educated offspring who are interviewed in the film provide evidence that it can be a successful route. The question passes and Gombu’s friends and family tell us about his early life. He was raised near Thame, in the Khumbu region of Nepal, but as a boy he was sent to the Rongbuk Monastery in Tibet to train as a monk. He hated it there. Boys were beaten with sticks if they forgot their prayers, and after a year, he escaped and fled back over the Nangpa La into Nepal. 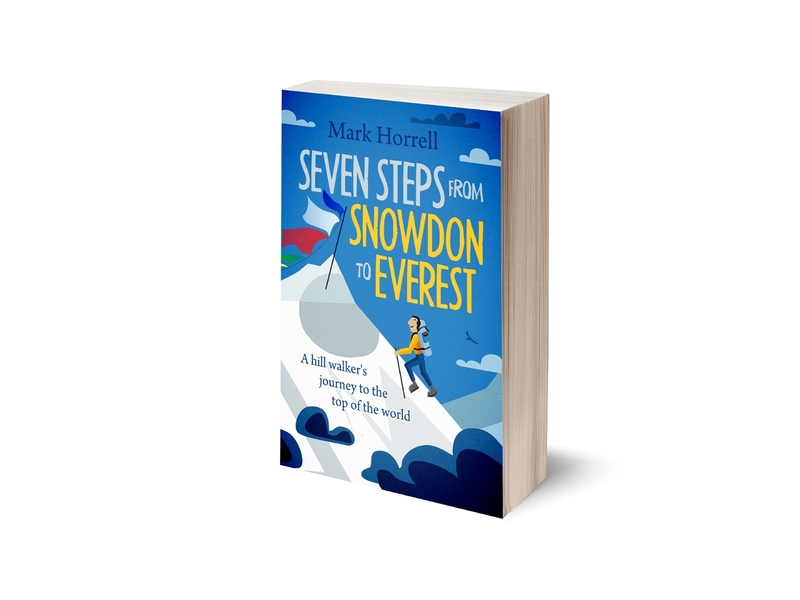 There follows one of those annoying sequences, as about 20 different people (OK, about five) explain what an amazing achievement it was for an 11-year old boy to flee over this glaciated pass. Perhaps for western boys, but for Nepalis and Tibetans, the Nangpa La is a principal trading route. I’ve been up it myself. It’s true, there are crevasses, but on the Tibetan side at least, it’s not especially difficult. Gombu moved to Darjeeling, where his uncle Tenzing took him under his wing. We learn that Gombu was incredibly strong, and although he was only a little over five feet tall, his chest was as broad as a barrel. In 1953 Tenzing recruited him as a 17-year-old climbing Sherpa into the 1953 British Everest expedition. We hear the story of how he asked expedition leader John Hunt why he was only carrying one oxygen cylinder up to the South Col, while Gombu was carrying two. Hunt found the incident funny, but Tenzing was horrified when he heard about it. We learn that this character trait remained with him throughout his life: Gombu liked to speak his mind, and he was not especially diplomatic (“he called a spade a spade,” is how one of his daughters described him), but people regarded this as a good characteristic. 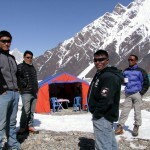 Gombu became an instructor at the Himalayan Mountaineering Institute (HMI) in Darjeeling. This was set up by the Indian Prime Minister Nehru after Tenzing’s ascent of Everest in 1953, with Tenzing as its director. This brought Gombu into contact with many American and Indian expedition organisers. He climbed with the Americans Willi Unsoeld and Will Siri on Makalu in 1954, and in 1960 he reached 8600m on Everest with an Indian expedition. 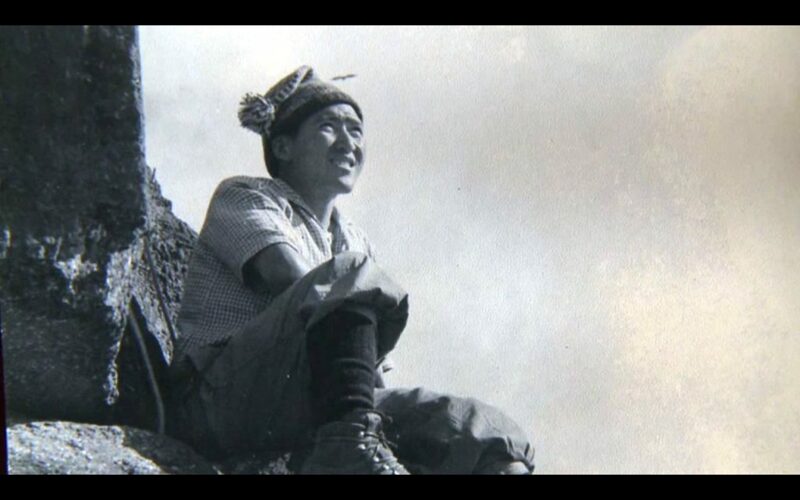 In 1963 Gombu joined the American attempt on Everest, an expedition that was to turn him and many American climbers into mountaineering superstars. Historically this expedition has become best remembered for Unsoeld and Tom Hornbein’s first ascent of the West Ridge, when they traversed across the summit and down its South-East Ridge. At the time, however, it was Gombu’s ascent of the South-East Ridge with Jim Whittaker that held the spotlight. 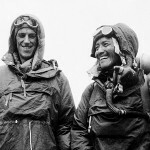 6’5” Whittaker was an entire foot taller than Gombu, and they made an odd pairing, but together they became the first American and second Sherpa to reach the summit. 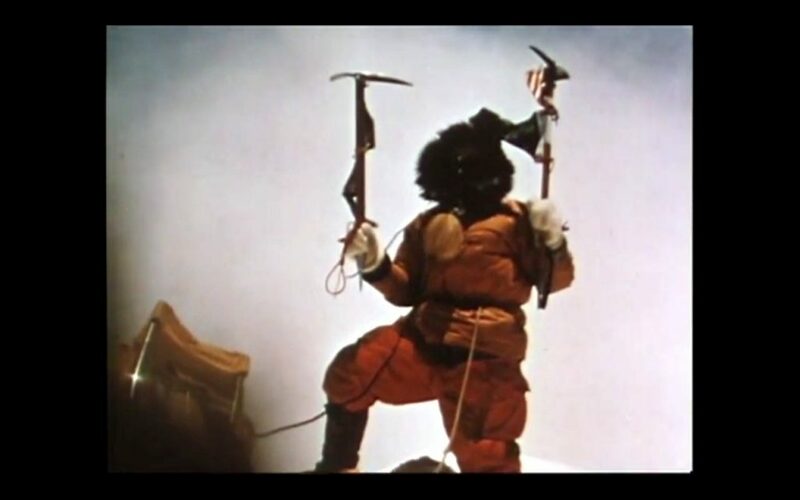 Whittaker is interviewed at length in the film, and describes their gentlemanly “you go first”, “no, you go first” sequence as they approached the summit. Eventually they stepped onto it together, avoiding the childish controversy that followed Tenzing and Hillary’s ascent. Gombu returned to Darjeeling in high demand. In 1965 he was invited to join another Indian expedition to Everest. He asked them this question. But I already climbed Everest in 1963. Why should I go there again and again? He was offered scholarships for two of his children and a plot of land. He was also promised a place in the first summit party. These offers were enough for him to accept. In May that year he reached the summit again, a historic achievement which one of my favourite interviewees in the film, Colonel Narender “Bull” Kumar (whose nickname is self-evident) describes with a huge grin. I used to very proudly introduce him as the only man in the world who has climbed Everest twice. 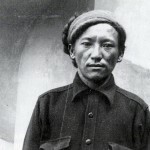 Much of the second half of the film focuses on Gombu’s later career as a mountain guide in the United States (where he also became the first Sherpa to climb Denali, the highest mountain in North America). Phil Ershler, one of the founders of American super-operator International Mountain Guides (IMG) relates a story of when he was a novice mountain guide on Mount Rainier. He was nervously glancing around a crowded mountain hut. “looking like a lost puppy dog”, trying to find a spare bunk when Gombu – now a mountaineering legend – slung his own mat and sleeping bag onto a pile of ropes and said “Phil, you sleep here”. Ershler has a look of awe in his eyes as he delivers the last line of the story. And that’s how I met Nawang Gombu. Much of the final part is given to Gombu’s sons and daughters to reminisce about their father. They talk about how tourists used to turn up at their house in Darjeeling as though it were a shrine. When they were still children he used to ask them to write letters for him in English promoting a particular cause or reference for someone he had agreed to help. He became very active in the Sherpa Buddhist Association, an organisation that was originally set up as the Sherpa Climbers’ Association to help the families of Sherpas injured or killed in climbing accidents. There is a somewhat teary ending to the film. Gomba died as recently as 2011 and he is still fondly remembered. One of his daughters, Rita Gombu Marwah, became a mountaineer herself, and got to within 183m of the summit of Everest in 1984, before turning around when she saw a storm approaching. There is one sequence where she is translating on behalf of her mother, and both are crying as she completes the sentence. He was really hard-working and very caring and he always wanted to help people … he was always concerned about everybody, not only his family but the rest of the people in the community. His character is perhaps best summed up by Jim Wickwire, the first American to climb K2, who climbed with Gombu on an expedition to the North Face of Everest in 1982. On that occasion Gombu promised his family he would not try and reach the summit, even though he was still in his 40s and easily strong enough. He was just a great guy to be with in the mountains, never down. He was always optimistic, always up, and that’s the kind of person you want to be around on an expedition. It’s easy to overlook the film’s many little faults and annoyances when you consider it as a whole. For one thing, it’s a great historical record, with all the archive footage and interviews. Most of all, it’s a great tribute to a man who deserves to be remembered. But don’t take my word for it. Watch it for yourself. Thanks for sharing this, Mark! Funny to see how in his adult years he had this strong resemblance to Jimmy Chin. A great article Mark and thanks for sharing the video, which I will watch right after writting this! Can’t wait to watch this tonight, thanks for sharing Mark! I had the privilege to undergo mountaineering courses under great Tenzing,Gombu and then intermingle with their nephew Lhatoo at HMI,on frequently employed as Guest Instr. Stocky Gombu was a man of few words but always helped the youngsters,who wanted to learn.Though he was a legend,but very humble and respectful,as is the case with all sherpas. Himalayan Mountaineering Inst and the mountaineering fraternity owes a lot to these sherpas ,who risked their own lives to take others to the summit but chose remain at the backdoors when publicity and getting dues came. Maybe we could instal statute of late Gombu also at the HMI and the IMF.And why not a section on the Himalayas and on mountaineering in the National Museum. Also an Inst of Himalayan studies established and a Chair in name of these great Climbers. I had the pleasure of meeting Nawang Gombu twice. The first time was in Kathmandu in 2000, I think it was. He was off to lead a trekking group in Bhutan from there. I guess he was about 65 years old then. He was a very kind and you can imagine how I felt, after all of the books and the National Geographics here I was my first climbing trip to Nepal meeting this legend. I saw him again a couple of years later in Ashland Washington, the home of Rainier Mountaineering, where he would visit his friend Jim Whitaker with whom he climbed Everest in 1963. Last time I saw Gombu he was making momos and watching some westerns on TV. Mark, you are an endless resource of great climbing info. Thank you. I thoroughly enjoyed this documentary and came away feeling inspired to be a better person. What a wonderful man. I would have loved to have met him. Thank you again Mark.I am moved and humbled every time. 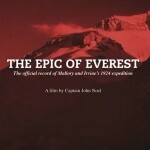 I am glad I watched this video… what a wonderful story and what great archival footage and interview clips with the great names from the Golden Age of Himalayan climbing! The subject matter and personalities easily overcome the little flaws of this documentary. I have shared it on Facebook and G+ because it deserves a larger audience surely.